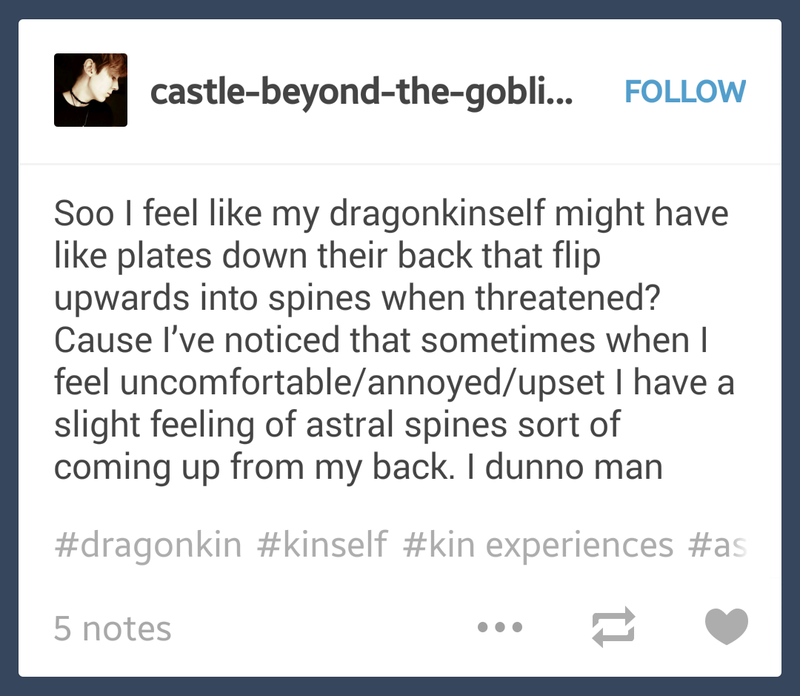 Have you ever heard of the concept of the ‘Otherkin’? I may have mentioned before about those who believe themselves to be animals. Well, a link came up in my mind, and I need to share the full story as best I can. It’s going to be a long post. I recommend you go and get a big mug of your favourite brew, and settle in for a long and fascinating trawl of the underbelly of modern society (nothing nasty – but some unpleasant photographs to come, sorry). Therianthropy is a spiritual belief or psychological state which can be very wide and diverse in its interpretation. As with any group of people it has its ‘extremists’ who put the rest of them to shame and creates a stereotype. Some therian/kin’s define their spirituality through animal totems and spirit guides. Spiritual entities separate from themselves, that shape and guide their behavior and actions throughout their lifetime. These individuals sometimes use the totemic symbolism of an animal to decide what governs their spirit. This person also believes they are ‘neurodivergent’ – this is disctinct from an illness in their mind. They are just ‘different’. However, I believe what we are seeing here is demonic in nature. Demons love to enter into our lives, and even our bodies, when we are at our most vulnerable. A coping mechanism is required when we can’t cope! We don’t cope because we use a mechanism to do so – if that were the case we wouldn’t need it – we’d just say ‘I coped’ – we wouldn’t fall for this lie. The coping mechanism may well be created because of a need, but in most cases, whether our reaction to our difficulties is to fight, or to flee, the coping mechanism is demonically assisting us in avoiding dealing with things which are hard, ourselves. Some demons come to torment, but some demons come to apparently shore us up – making us believe we can cope – without God. Coping mechanisms don’t make us strong. Our vulnerability is when we need God most. 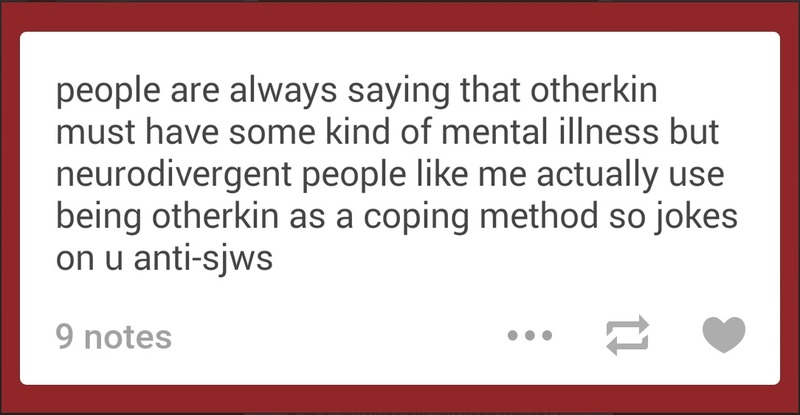 It was when I found this image of sygils related to the otherkin phenomenon that I had to write this post. I then realised the danger these folks are in, and that they perhaps pose to others. To believe you are a Nephilim, or an Incubus, or a Succubus is to say that you are demonically possessed! These are real things people – someone like Steve Quayle who has spent years talking about these things would tell you they are real phenomena, not fairy-tales! 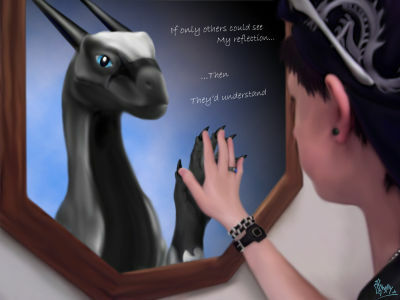 Your dragonkinself? How about the demon which is inhabiting your body and affecting your mind as well? Wake up! This may be part of the very dark awakening that Russ Dizdar has been talking about – those who are innocently defending their ‘right’ to be otherkin are now beyond the reach of the church – beyond the reach of help from true bible believers who are willing to cast out those demons. They are being encouraged by society to think of themselves as ‘different’ or ‘mentally ill’ rather than demonised. How sad! So here’s the link that came into my mind today. Here’s where the pictures get a little less pleasant. I’ve tried to stick to the very least unpleasant ones I could find. 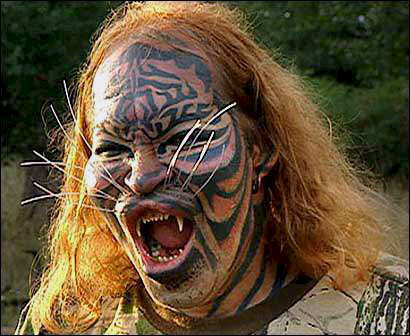 There are people out there who like to get tattooed, and I’m sure you’ve seen many bizarre tattoos in your time. However, have you ever considered that some of these folks are subconsciously making themselves into the very demons that possess them? Take a look. These guys may seem extreme, but they are just the other end of the spectrum from the innocent seeming otherkin, don’t you think? 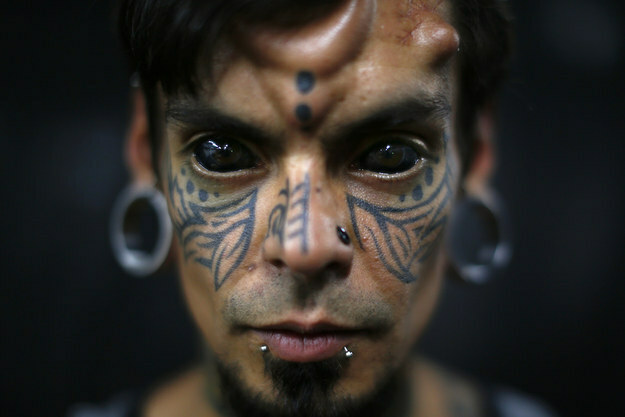 These are folks who have given themselves over to body modification deliberately – working to become more ‘themselves’ when in fact they have become more ‘other’. It’s also interesting that many of these people seem to have a similar style, and at that link above, you’ll see almost all those pictured have under-skin modifications that form horn-like shapes. This is demonic! I know a lady whose daughter is friends with a girl who thinks she’s a wolf – and this has caused some difficulties between them as friends. My advice to the parent of the young ‘otherkin’ is to take authority in the name of Yeshua to set her daughter free! 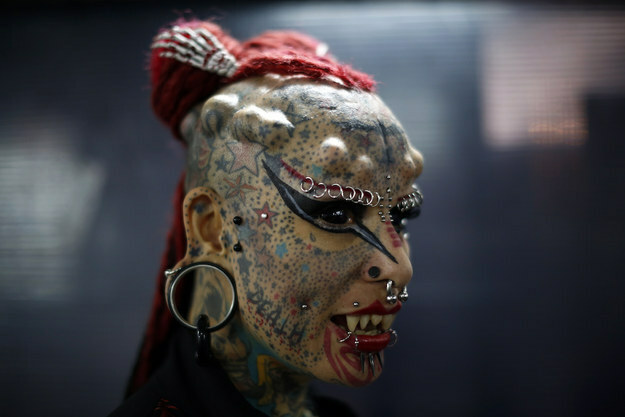 Don’t wait until your child becomes a visible, tattooed demon before your very eyes. I ask you now to pray for the folks photographed here, and pray that God will save them through the redeeming power of His only begotten son, Yeshua. These people need our prayers, as do their families. So, a few issues with this article. You’re incorrectly saying “thinks ____ is a ____” Believes would be a better word. Just like you believe in a god. Both are unverifiable with anything outside of those belief systems. If you were to call a demonkin demonic, they’d love it, while you would take it as an insult. You see? 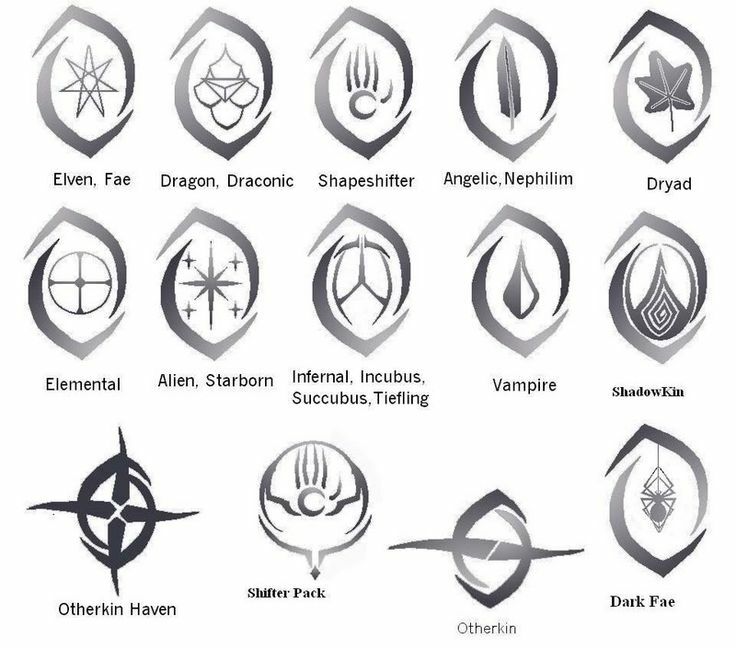 I’m also pretty sure only one of the photographed are otherkin (I saw them in a video)- the others just love how the tattoos and piercing makes them look. Please don’t advise parents to stop children from being themselves. If any parents of otherkin are reading this, please oh please don’t mess with your child’s identity because you’re scared they’ll turn into a “tattooed demon”. By your belief system, God loves all, correct? If you really think the bible is against body modifications, remember that it also says wool and polyester shouldn’t be worn. However, we are coming at this from diametrically opposed positions – before I became a Christian I would have agreed with you, after becoming one, I see things very differently. An experiential relationship with God is very different from belief alone. If you are curious to explore this issue further, please look into deliverance, and what can open the door to demonic oppression. These kinds of fantasies can – and in a world as messed up as that which we see around us right now, who can blame kids for wanting to be something else, something amazing, and possibly even something special? It’s just not healthy, and it’s not to do with identity; demonic forces can take advantage of their insecurities and push them to believe they are something they are not. Whether this leads to tattoos and body modification is questionable, but I believe the same kinds of forces are behind both. Yes, God loves all, but He also destroys what does not please Him – look at Sodom and Gomorrah! I wrote out another long comment, but at the end- well, I would prefer if people didn’t try to change others because of their own personal beliefs. So, on the other side of that coin, I won’t try to stop you from doing that. Hopefully people take my first comment into consideration after they’re read your post…. Oh, here’s the comment if you’d still like to read it. Hi again, .fli, thanks so much for your comment – your longer comment brought up some great points, but I’ll just cover the wool and polyester issue, since I didn’t respond to that in my first reply to you. 19’You are to keep My statutes. You shall not breed together two kinds of your cattle; you shall not sow your field with two kinds of seed, nor wear a garment upon you of two kinds of material mixed together. Am I able to do that right now? Sadly not – I am wearing cotton and linen mix trousers (and I bet they are sewn together with polyester thread too!). I am wearing a poly/cotton cardigan and a poly/cotton T-shirt – it’s almost impossible to get ‘Kosher’ clothes (probably easy in Israel!). For example, I have just bought a really big warm winter coat off Ebay – it was a bargain! It’s 75% wool and 25% polyester, and lined with polyester. Does God want me to be warm? Clothed? Yes! Do I have good options to avoid mixing thread right now? Like the Jews in Israel who can’t perform some of God’s statutes because there isn’t a temple for them to do them in, I am only able to clothe myself with what is available, and I rely on God’s grace and loving forgiveness for those things I cannot do. However, I know that His way is right, and for reasons unknown to me I should be wearing all linen or all cotton or…. but even if I was able to get all cotton jeans (which is increasingly hard these days) they would probably be stitched together with polyester! There is so much more I could say, and that I could share with you – but the journey we are each on is personal. I just hope that you will keep your mind open to God – allow for the possibility that He’d like to have a relationship with you, and save you from this difficult and perplexing world we live in. Next Next post: Medical collusion in governmental tyranny and the NWO depopulation agenda?